Website of the RTTS OzScore® Realtime Target System for long range fullbore shooting. Simple in setup and configuration. Supports a variety of power supply options. Wireless and/or wired network communications for both shooter and spectator facilities. Multiple shooters per physical target. Post shot result display delay option. Now ten years in the making, the Ozscore Electronic Target System is still constantly evolving. Ozscore is an acoustic target system designed specifically for long range shooting environments (300 yards to 1000 yards). 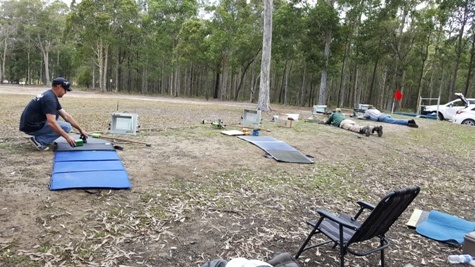 Ozscore was initially released in November 2011 with the first installation at Goulburn in January 2012. Ozscore has been designed by shooters for shooters with particular attention being given to the needs of shooters on the mound, and affordability by the typical small Club in Australia. These needs include a rugged system that can withstand potentially harsh environmental conditions over a prolonged period of time. 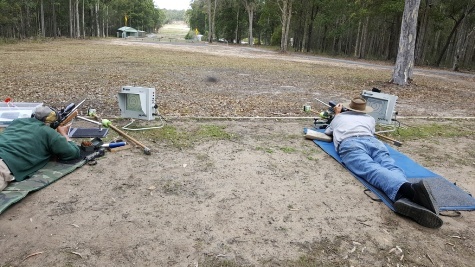 In Australia, shooting activities can be conducted in temperatures ranging from zero to more than 40 degrees Celcius. Furthermore, the equipment can be exposed to dust and grit, rain, sleet, and rough treatment. As a result of these potential operating conditions, Ozscore comprises of a mix of imported and locally designed and manufactured industrial grade electronics and associated hardware. Most of the system is housed in powder coated metal enclosures that are not only durable, but portable as well. It has always been a primary design objective that Ozscore be affordable to regular shooters, while maintaining the various standards required for longevity of operation. All of the engineering decisions have been made with these factors in mind. While the needs of shooters have been considered first and foremost, so have the needs of spectators. As a result, the system has been designed to meet spectator needs both on the mound and elsewhere. the implementation of a multiple shooter per physical target system (including Bisley style). automatic miss detection (failures to reach target). Ozscore has capabilities not able to be provided by any other long range electronic target system currently on the market in Australia.